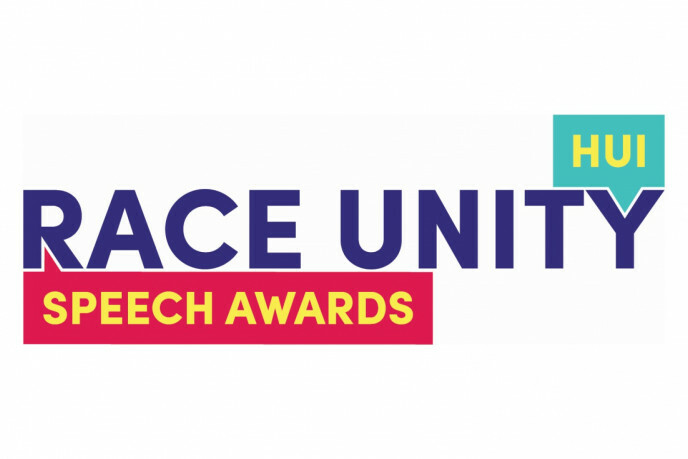 Registration for the 2019 Race Unity Speech Awards is now open for students in Y11, 12 and 13. Students register online via the Race Unity website. The Speech Awards provide students with an opportunity to express their views about race relations in Aotearoa while also developing key competencies outlined in the curriculum. Participation in the speech awards can be linked to assessments or classroom activities in a range of subject areas including English, te reo Māori, and social studies. This year’s speech topic is ‘Speaking for Justice, Working for Unity’ (available online in English and te reo Māori). The topic asks students to engage with contemporary race relations issues facing society, including freedom of speech and the increasing polarisation of discourse about race. Regional heats will be held 8–11 April throughout New Zealand and the national semi-finals and national final in Auckland on 10–11 May. Registrations will close on Wednesday 27 March. Speeches can be in English or te reo Māori. This year we are encouraging more students to make speeches in te reo by providing a new prize for the best use of te reo Māori at the national level. The speech awards were initiated by the New Zealand Baha’i Community in 2001. New Zealand Police have been the chief sponsors since 2008, with other sponsorship coming from the Human Rights Commission, the Office of Ethnic Communities and the Hedi Moani Charitable Trust. The Federation of Multicultural Councils and Speech NZ offer further support.